It’s time to look at an old film about an affair. I haven’t seen too many home wrecker films and the ones I have seen like the Home Alone sequels don’t really focus on that part of the plot. As this one puts that at the front of the plot, it was doomed right from the start. After all, you can’t really root for a lead like that. The film starts with the lead heading home after finally getting his bachelors degree. Right away you can tell that something is off with the lead as he doesn’t want to talk to everyone and keeps running away. It’s played partially for humor but even so the lead’s being overwhelmed by everyone happens too soon. You’d think that he could have at least bluffed through it for a while. Instead he tries to spoil the party for everyone. Eventually he is caught by Ms. Robinson who suggests they have an affair. The lead knows she is married but decides to go through it anyway. Then he starts to like her daughter and now he wants to try and marry her while dodging Ms. Robinson’s threats. As you can see from the very premise, this film didn’t really have any potential. There’s just no way that a film like this could be good since there is no way for you to possibly root for Benjamin. He never even tries to deny Ms. Robinson as everything he says isn’t convincing in the slightest. As I mentioned he also handled his opening scene terribly as he gets upset at all of the guests for no reason. Why couldn’t he have just played along at least for a bit? He isn’t a motivated lead and just gets himself into more and more trouble. Then his attempted romance with the daughter is just as bad. Naturally he shouldn’t be trying to get together with her and he didn’t even take the time to break up with her mother before starting. Then he follows her to the school and pesters her until she agrees to marry him. Benjamin has no tact and you’ll probably cringe at the ending. It’s a pretty sad ending for everyone involved and I’m going to say that there was a lot of plot hax in the scene. There’s no way that Benjamin should be able to overpower such a big group the way that he did. They should have knocked him out right there. Naturally with a plot like this one there is quite a bit of fanservice to bring the film down with. You’ve also got some pretty terrible writing to worry about as well which doesn’t do the film any favors. If anything it just helps it sink further and further down the food chain. None of the characters are written well or even realistically. At that point all you’re left with is a sinking ship and I don’t recommend going down with it. At least the song was fairly memorable with the Darkness bit being a meme recently. It’s a pretty reasonable tune although I’m not sure that I can really give the lyrics a whole lot of credit here. At the very least they weren’t as annoying as you may have suspected so that’ll have to do this time. Having even just one memorable song is still more than most can say. On an unrelated note, I did like how the food looked. The amount of fries that the main characters got was pretty impressive. They definitely don’t give you that much nowadays unless you pay quite a bit to the store. If only we could have had more scenes with food then maybe the film would have had less time to dig its own grave. There’s not really any one thing that could have saved the film, but something that would have helped would have been a different main character. If the main guy is going to be an antagonist anyway then he may as well be a confident one. Benjamin keeps on stuttering and acting timid the whole film which is always super annoying. It’s the film’s terrible way of trying to show that he doesn’t know what he’s doing, but he certainly does. He’s just putting up an act and it’s one that is a little too obvious to actually work. Also, it’s not as if there is any kind of justification for what he’s doing. He’s just trying to wreck someone’s family and he never actually feels any guilt over it. By the end of the film you get the startling impression that he doesn’t actually regret anything or even that he sees himself as the villain. He’s just happy to keep on going and probably wouldn’t change a thing. Overall, This film isn’t particularly long, but it sure does manage to drag on and on anyway. I’d advise taking a step back and considering a different film over this one. You’ll be glad that you did and it’ll save you a whole lot of time and effort. There’s nothing good about this film from the writing to the “humor” to the terrible plot. 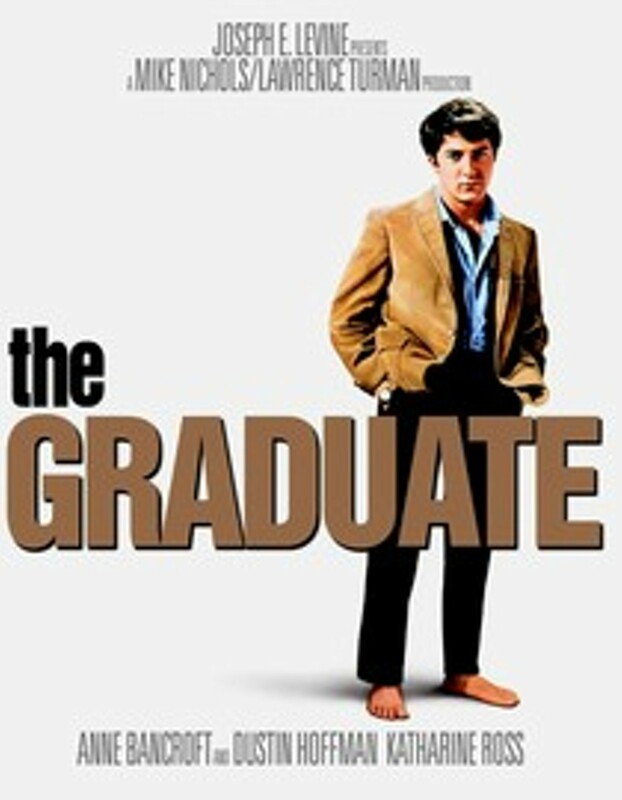 A film like The Graduate just never graduated to the level of cinema that you would expect to see. As such it hasn’t aged well and I’d make the case that it was never even a good movie in the first place. It was dead on arrival. This entry was posted in Live Action Movie Reviews, Live Action Movies, Reviews and tagged Comedy, Dustin Hoffman, Film Review, Movie Review, Review, Romance, The Graduate, Thriller by dreager1. Bookmark the permalink.